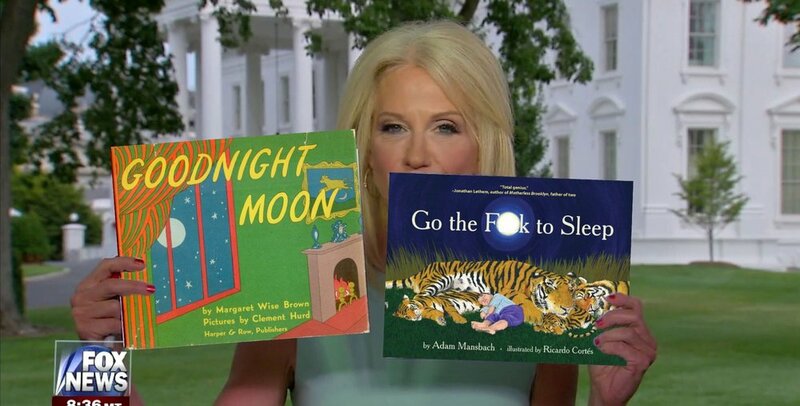 During a television interview on the Republican propaganda network Fox News, Trump advisor and resident circular speech guru Kellyanne Conway used visual props to claim the Trump administration is not guilty of collusion. 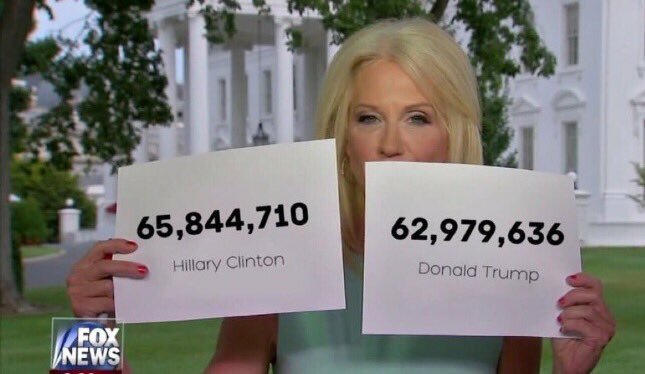 To make her point, Conway used two pieces of white paper with the words: "CONCLUSION? COLLUSION" on one and the words: "ILLUSION DELUSION" on the other. 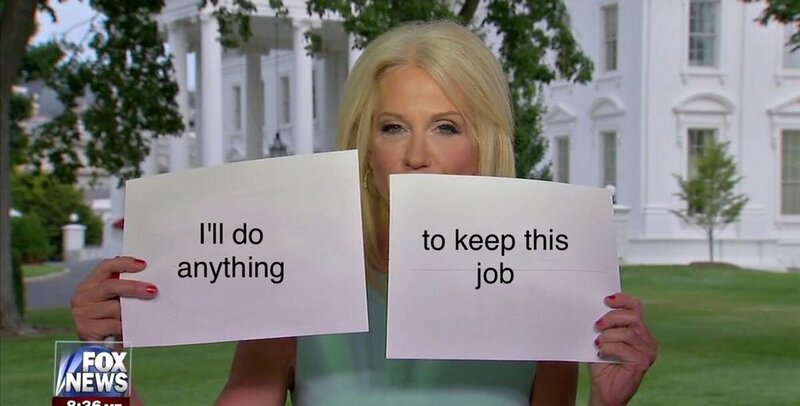 Conway lacked the foresight to realize that holding up white pieces of paper would prompt a viral Photoshop challenge.